Lillian Gary Taylor assembled a remarkable collection of popular American fiction. Her library included 1,800 first editions of America’s favorite novels dating from 1752 through 1950. She crafted a collection around the top annual bestsellers, while always keeping an eye on literary merit. Among the significant titles she acquired are Susanna Rowson’s Charlotte: A Tale of Truth (1794), Nathaniel Hawthorne’s The Scarlet Letter (1850), Harriet Beecher Stowe’s Uncle Tom’s Cabin (1852), Upton Sinclair’s The Jungle (1906), F. Scott Fitzgerald’s The Great Gatsby (1925), and Ernest Hemingway’s A Farewell to Arms (1929). 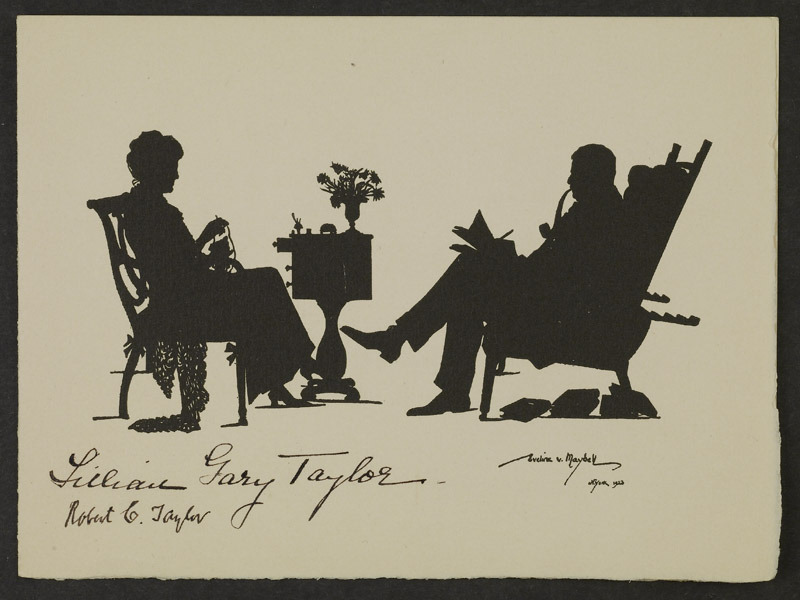 This exhibition draws from Mrs. Taylor's collection and her collecting journals. Her notebooks record the facts about a book’s initial print run and sales, but more importantly, they capture a novel’s reception at the time of its publication. Mrs. Taylor gives us access to readers of the past and charms us with her observations and drawings. Today the collection numbers 1,900 titles, with new acquisitions every year. The generous support of the Robert Coleman Taylor endowment enables the University Library to add current, popular titles to the Taylor Collection.